n recent years, laptops began to give up the top position in the hearts of tech fans to tablets and other hybrid devices. The latter are much more comfortable to use and carry and their price tends to go down month after month. At the market we can already find tablets at favourable prices that offer all the features needed to satisfy the needs of most types of users. 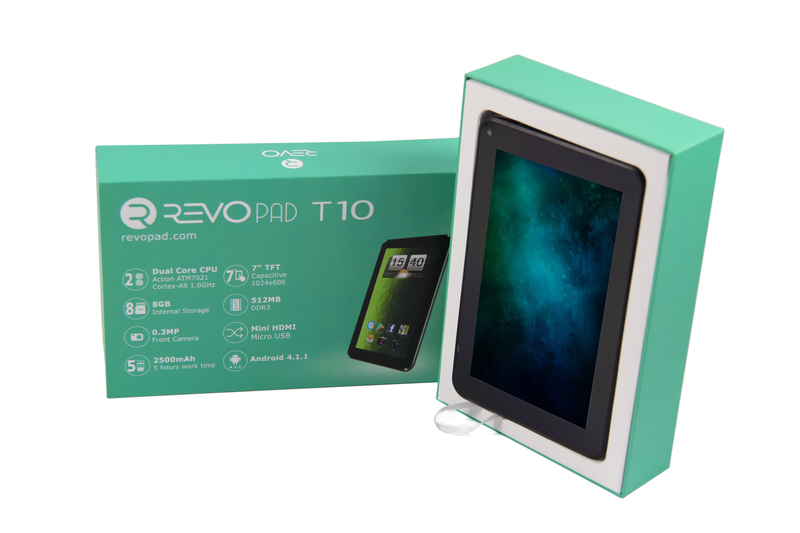 In this video review we are looking at RevoPad T10 tablet. But enough talk, let’s open the box. The design of the tablet is simple and at the same time far from boring thanks to the dual-color combination of black and white. 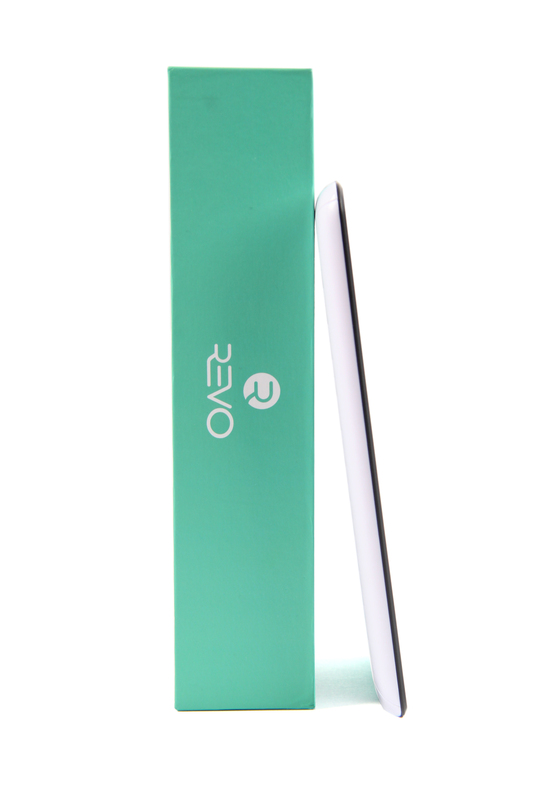 The surface is nice to the touch and certainly will not give you a hard time in terms of handgrip. 7 -inch devices have almost become a standard with tablets as they are highly portable and provide enough screen surface at the same time. 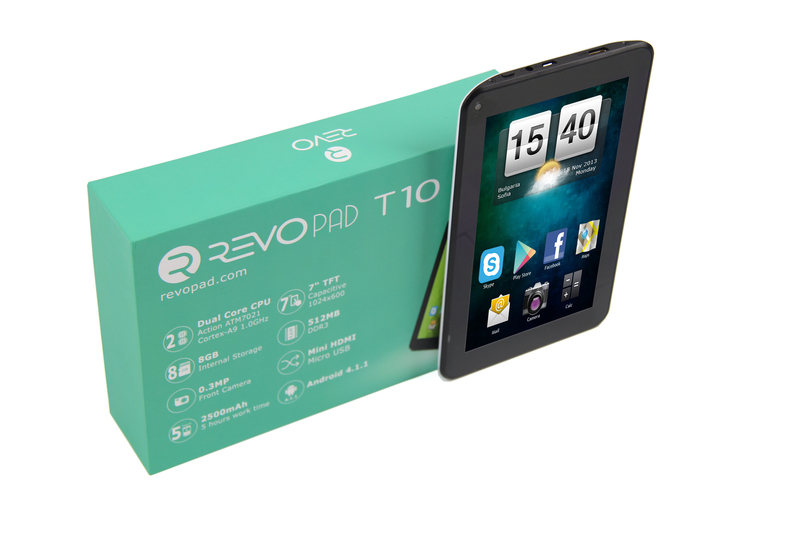 Revo T10 delivers a 7- inch diagonal and a resolution of 1024×600 pixels. The LCD TFT screen boosts a pretty good picture – the images are not very sharp and the colors are vivid , without overly boosted saturation. Working with the display outside in broad daylight not a problem. The brightness of the backlight makes the details clearly visible outside. Capacitive Touchscreen technology makes the screen sensitive to touch commands which initiate a software response immediately. 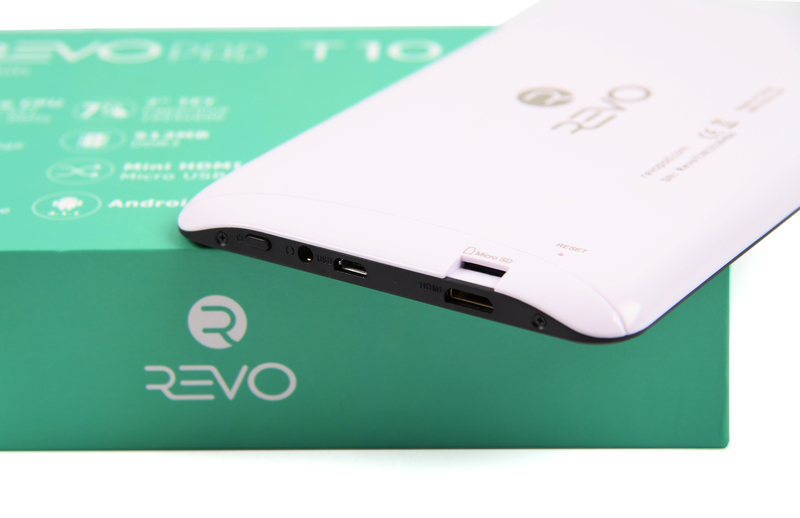 The hardware set of RevoPad T10 makes it suitable for surfing the Internet, watching video content , listening to music and more fun. The tablet has a built-in WiFi module , but it is possible to use a standard 3G connection via an external 3G module so basically take advantage of unlimited Internet connection . 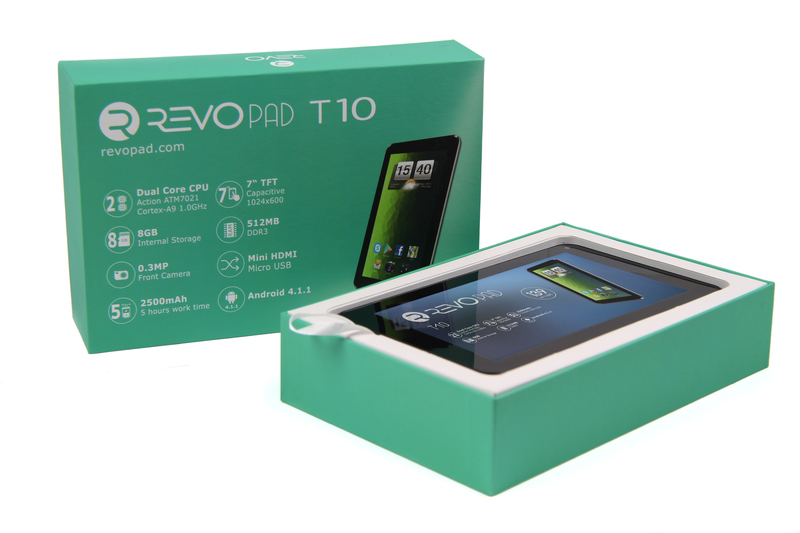 A Cortex A9 Processor at 1GHz operating frequency is responsible for the productivity of RevoPad T 10. During our tests, the tablet did pretty well , the multiple opened applications did not disturb the online video stream. System memory , or in other words – the RAM on RevoPad T10 is 512MB. The built-in memory is 8GB, but an SD card slot allows you to add more space. RevoPad lets you take advantage of several connection options: a micro USB port, a mini HDMI port and a 3.5mm jack for headphones . RevoPad comes with the 4.1 Jelly Bean version of Android. T10’s technical features make it a great choice for users who need a tablet primarily for entertainment like watching videos , listening to music , surfing the Internet , and more. 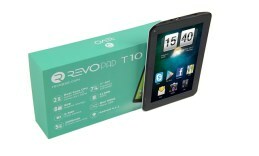 The tablet features a camera that is in the front above the display and offers a 0.3MPs. The 2500mAh battery piece provides a relatively long battery life, so you can for example watch a movie while on the road. How do I upgrade the Android to the latest version please?